his clan dates back to the start of the Ninja World. Along with Madara Uchiha and Harashirama Senju, there was another person, who’s name is dismissed in history. Her name is Karin Charius, and she was the creator of Aura and mother of the Charius Clan. Karin was once of Hashirama's close friends, and actually offered the idea of making a treaty with the Uchiha Clan. Karin then soon learned that Madara was up to no good, and attempted to tell Hashirama this, but to no avail. Madara then accused her of treachery and she then migrated to the the western mountains of The Fire Country, discovering the ways of aura and fire control. She learned that fire can be as very gentle, but when angered, fire can also cause destruction. She learned of the skills, but this took many years. Knowing that she wasn’t able to re-produce, and have children to teach them to, she instead turned to her brother: Leo Charius. She spent 20 years teaching him the ways of the Aura and Fire-Bending, before finally passing away. Leo trained himself, and along with his wife, began to build the clan. They migrated into the suburban part of Konohagakure, near where Karin trained herself, and dubbed the area “The Forest Of Recollection”, due to its mystical properties. Leo began to work out the clan’s perk, and invite more people into the clan. This is technically not a bloodline limit, but a member not born into a clan has to go through a ceremony to become a Charius. A small forest located in the back of the clan compound, closest to where the original aura master (Karin) created the clan honed her techniques. Several seals are implanted into the tree, and the spirit of a former guardian is sealed into each one of the seals. Once a clan guardian enters the forest for their training, the seal will activate, and they will have fight several of the former clan guardians in order to achieve their guardian status. The goal is not to win, but to prove yourself to be able to protect, the guardian in-training’s task is usually to protect an object or person. The trees cannot be burned down by one in tune with aura, due to the seals and the guardian's protecting it. Karin's philosophy was that fire can be gentle, but is usually used a destructive force. A Charius member, who isn't in tune with aura at first, must learn to control aura, and learn to contain fire, and use on their target, to destroy one not all. The Clan Guardian is the person in the clan is the one to look over every member of the clan’s well being. He or She must willing to give their life for another clan member, or complete stranger need be.. That being said, they must be specially trained to Guardian Exclusive techniques and fighting styles such as the Shouji Kempo. To become a guardian, he/she has to be the first child, (the second child becomes clan head) of the main family member(s). When an old guardian dies before another guardian child is born, a temporary guardian is made. Unlike most clans who only utilize chakra, otherwise known as the combination of spiritual and physical energies, the Charius utilize Chakra as well as Aura, the Natural energy that exists and can only be collected in Nature itself. Because of this most if not all clans do not have the innate ability to Utilize Aura or control any element to its full extent. However even Aura has its limit. Limited by a specific amount, aura can only be collected and maintained in the human body, it cannon be stored in a seal or item. It also can only be obtained when the body is completely still and immersed in the world around it. Meaning that if the user has rogue thoughts afoot then they will not be able to collect or maintain Aura. This also means that Charius family members tend to be unnaturally calm as anger is known to cause Aura to dissipate from the body. Aura can be used to control the elements and like other clans similar too it the Charius have the innate ability to control Fire. Because of this all Charius are born attuned to the fire element even if they do not possess the element themselves, allowing them to bend it at will as long as they have Aura in their body. Because bending is a taxing task however it takes extreme control and concentration to do so, thus bending is unattainable until the chuunin rank. However the Charius as well as the other seven families found a second way to harness the power of Aura in the form of runes. Creating the Rune Fuuinjutsu style, only a select few are even able to draw Runes, however those that do have the innate ability to create new runes from nothing except a basic whim and need. However Runes cannot be complex because the energy they use is not replenish able with rest. This is why you will never find a rune over A rank, however it is possible to use Runes in a combo for a better result, however this can only be done through training and concentration. All Charius start out with the five basic Runes of the Clan, Detect, Discover, Flash, and Flow. By trials and training they can then earn the other runes of the family, however if a clan member is deemed not worthy of more Runes or deemed not worthy of the runes they wear already, they can and will be stripped of their runes which also in some cases result in the loss of the ability to use Aura. Description: Chakra Suishin no Waka is used as an advanced chakra control technique by the Charius Clan to prepare their children for the more energy tasking techniques that they will preform later on. However this technique cannot be preformed until the user has mastered the tree climbing and water walking exercises. This technique can also be used, when mastered, to hover a small distance above the ground (at most 10 centimeters). This reduces friction of movements however eliminates any grip on the ground that they had. More experienced users can propel themselves forward, backward, and side to side. More advanced users can increase their speed, preform tricks, jumps, flips, attacks, or avoid foot traps with ease. Description: An advanced nature manipulation technique utilized by the Charius Clan. It uses both chakra and aura to manipulate and control the elements around them that are available to them at that time. Unlike most jutsu, this technique cannot produce any amount of the element that the user is controlling, however it can aid in the control of the current amount of the elements that is currently around the user. Because it is a nature manipulation technique and not a normal ninjutsu, it does not take a lot of chakra to preform, however it does tax the chakra supply constantly until the chakra is cut off. Because of the fact that it takes aura to complete this jutsu, it is impossible to teach another person outside of the clan or have it be copied by the sharingan. These runes are known as the supplementary runes, made with a basic need in mind they only have one purpose. Because they are runes they only have a set limit of powers that they can do, however when used in conjunction with other runes, they can turn a bad situation into a quick escape or counter. Rune power: This rune allows the User to detect aura/chakra signatures around them, this rune does not work on persons younger than 8, inanimate objects, tree's, and animals. Maximum range is 50m when mastered. Rune history: Dates back to the original rune masters and their obsession of knowing everything around them. Their first accomplishment was to create a rune which would allow them to sense everyone around them that used Aura or Chakra. This in turned sated their thirst for the knowledge of who was around them. Rune history: Dates back to the elder Rune masters and their obsession with finding things without disturbing the land around them. This rune allowed them to accomplish such task without using much aura at all. Rune look: It appears in a sun like shape. Rune history: This rune dates back to the ages of darkness, The first ninja world war. The Family had needed a way to see during massive blackouts and solar eclipse's. By creating this rune, they made a way to aid themselves while harming their opponents eyesight. Rune history: Dating back to the days where rune users couldn't focus their aura to the point of using it for anything other than the other basic runes. By creating this rune, they aided in their ability to focus aura into newer forms which could then be used to form more techniques. Rune look: Appears to be similar to a flowing wind symbol. Rune power: Allows the energy that is being held to flow naturally with the flow of the jutsu instead of forcing it to go this way and that way. This minimizes energy costs overall but it still taxes the user to do so. Rune history: Created way back in the old times during the intellectual period. It was used to symbolize the natural flow of energy between Nature and a Charius. Using this symbol the Rune masters debated upon a rune that could in fact aid in moving energy in its natural flow instead of forcing it to follow the users command. NOTE: THIS IS NOT SAGE MODE. WE USE THE NATURAL ENERGY AS A SECONDARY ENERGY SOURCE! WE DO NOT SUMMON ANIMALS AND FUSE THEM OR ANY OF THAT GOOD STUFF. I'M TIRED OF PEOPLE COMPARING IT TO SAGE MODE! IT IS NOT, I REPEAT, IT IS NOT SAGE MODE. Okay, it is not Sage Mode. xD I get you. The idea of using Natural Energy, i.e. Senjutsu is ingenious. The idea of using runes to control it seems rather unfair, but original, and acceptable on the site. But there are several things that should be altered. In your bio you compare Karin Charius with Madara Uchiha and the great Hashirama Senju. Yet, not once do you mention exactly how she is concerned with the creation of Narutoverse. You should either mention it, making a believable story, or cancel it in total; although it sounds cool to be compared to them, it plays no part whatsoever in your clan story. Otherwise, your story is... okay. Karin Charius spent 20 whole years training his brother about the arts of Aura and Fire-Manipulation. 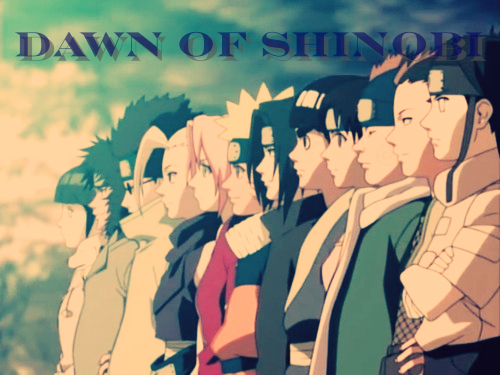 It took Naruto 3 years and some more than that to learn Sage Mode. So I suppose the Charius clan is... extremely good at controlling Senjutsu. The part describing the clan growing into a bloodline ability through mutations makes no sense when you think about it. Leo invited people to join the clan. Therefore, there is nothing that expressly states that the invited clan members all had an affinity towards fire. Of course, he may have indeed invited only people who had an affinity towards fire. In which case, the past 3 sentences are to be neglected. 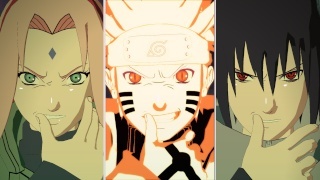 If all of them were Fire Elementals, and all of them learned using Senjutsu, their children are merely 'likely' to be adept at using Senjutsu and to have an affinity towards fire. Don't twist Naruto-Biology to suit your own clan. The above paragraph clashes with your Forest of Recollection. When I heard the name I thought it was a place where old people come to restore their own memories. xD Recollection comes from the word Recall. Back to the topic; the Forest of Recollection. All you say about it is that Karin Charius learned the usage of 'Aura' and 'Fire-Bending' over there. You say nothing about the forest itself; why it's so suitable for learning Senjutsu or Fire-Bending. Hell, it's a forest. How in the world do you become better at learning to use Fire AND to utilize Natural Energy at the same time? xD Fire symbolizes destruction, whereas Senjutsu symbolizes the ability to be one with nature. You do mention that there are runes on trees, but I can't accept that as the reason why Aura is easier to master there, because you later mention that the runes are used in the deciding of the Clan Guardian. I understand that you mean to say that the new Clan Guardian has to face an ordeal by battling former Clan Guardians the moment they enter the forest. However, the concept you've given on the 'Clan Guardian' is exceptionally vague. For example, reading your description in a literal sense, it states that every time the Clan Guardian enters the forest, he'll have to fight. Also, you give no conditions as to who can become the Clan Guardian, or what happens when the old clan guardian dies. In short, it's too vague. Being descriptive is a blessing. I know I've been ranting for too long; I'll appreciate it greatly if you take your valuable time to read what I just said. They are, after all, my views on how you can improve your clan, and avoid any kind of controversy when, say, someone else of your clan wants to be Clan Guardian, or someone training in the Forest doesn't know exactly how to describe the 'mystical' properties of the forest. I'm sorry if I've been annoying; it's my job to right the wrongs of people. x.x For now, I'll leave my review at this state. After hearing your reply and seeing your changes, I'll comment on the rest of the Clan, which, in my opinion, also has some flaws to it. There you go, edited what you told me to edit, pal.